How to recreate the back patio of our dreams. By Emily Goulet·	 8/14/2014, 5:15 p.m. This is my heaven. | Photo via Lonny. See that photo up there? I’ve been staring at it all summer. I don’t even remember stumbling across it, but at some point I did, and it went straight into my Inspiration folder. Now that my husband and I are beginning the house-hunting process, I click on it every other hour so often to remind myself of what we’re I’m looking for in a backyard (read: little to no maintenance, mature trees, and, fine, the number of a good landscaper). It’s perfect. There are mismatched throw pillows! A wall of hanging quilts and blankets that most certainly aren’t weatherproof! Rattan side tables! Weird little plantings! A HEADSCARF! Sometimes I pretend that I am that headscarf-ed woman. And then I venture out onto my own postage-stamp patio and see: a chipping patio set left over by the people that previously owned our house, a dirty green hose coiled up in a corner, a pair of ceramic elephant side tables I bought on a whim at HomeGoods, and a trio of dying bushes. It’s not pretty. Certainly not the bohemian paradise of a woman who never has to fret about pedestrian things like rain or insects or dirt. Turns out the headscarf lady is actress Lake Bell, and this is (was?) 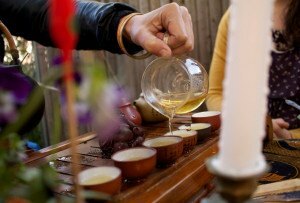 her Brooklyn patio, as shot by Lonny last year. The fact that this perfectly imperfect scene is actually a professionally staged photo shoot makes me feel better about my own lackluster square of land, and also gives me a tiny sliver of hope: I can do this, too! In fact, if you break it down, recreating this bohemian wonderland requires a few basic things: Assorted throw pillows and blankets, mismatched furniture (aim for wood, metal and wicker), and a heaping dose of greens. 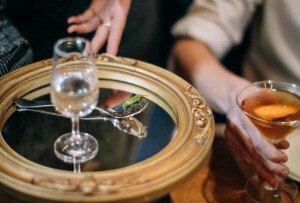 Include at least one vintage piece of furniture. 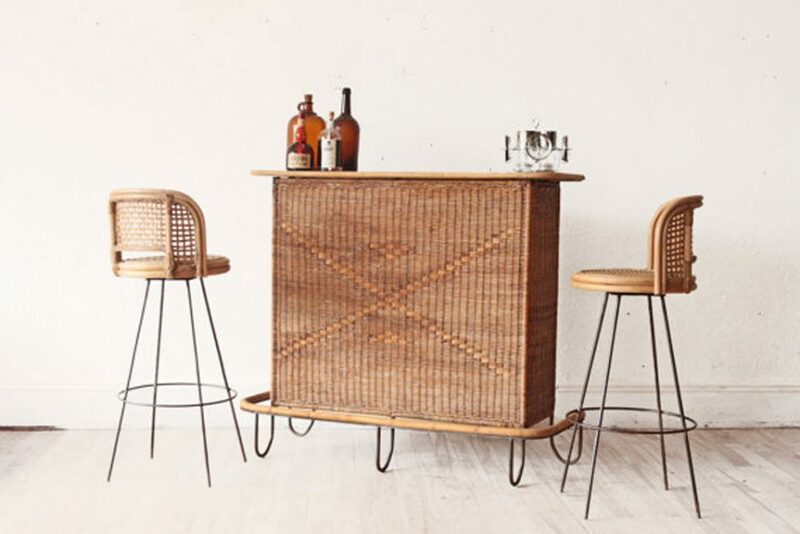 Vintage mid-century rattan tiki bar and pair of bar stools, $995 at OtherTimesVintage. 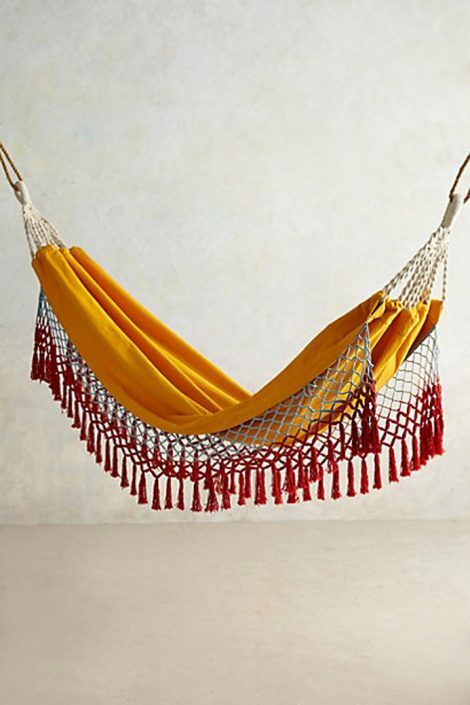 Canyon fringe hammock, $118 at Anthropologie. 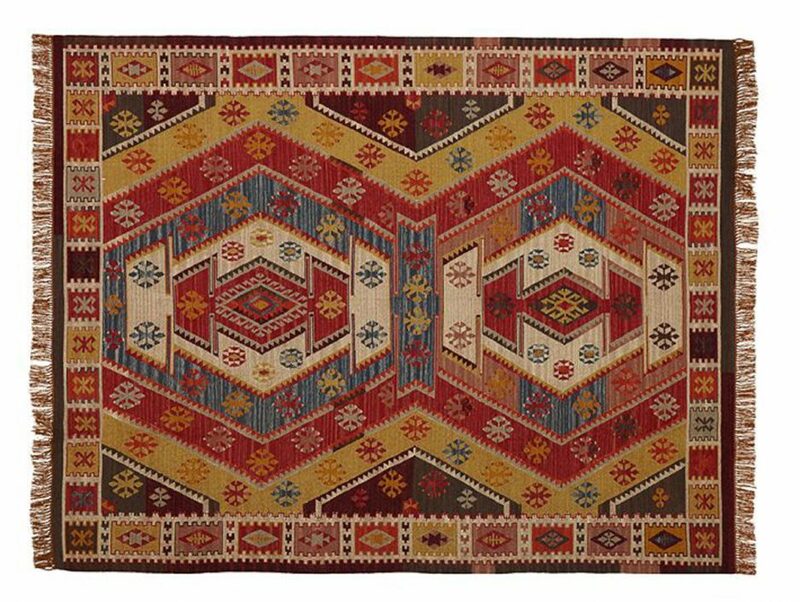 Choose an outdoor rug that looks like an antique textile. Cool fact: The yarn of this rug is made of recycled soda bottles. Gianna indoor/outdoor rug, from $59 at Pottery Barn. Opt for a mosaic-topped table. 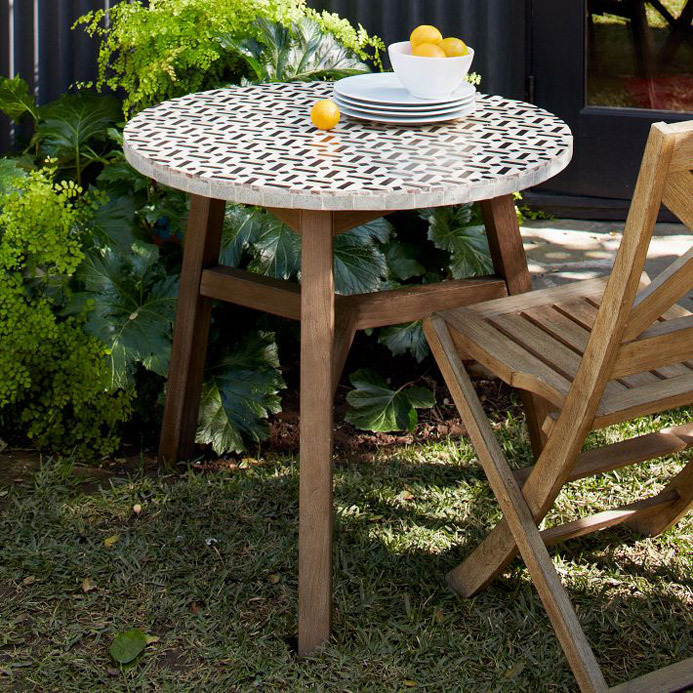 Handcrafted mosaic-tiled bistro table, $399 at West Elm (online only). Scatter mismatched throw pillows around. 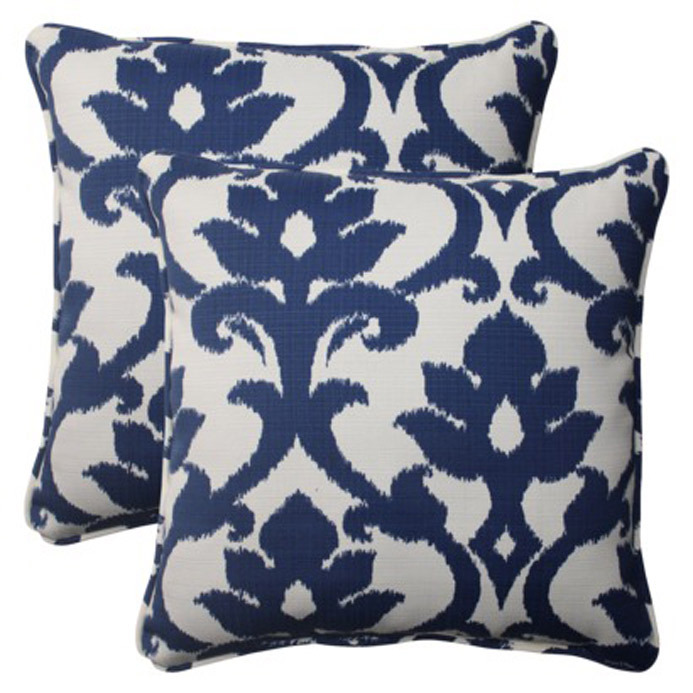 Outdoor pillows, $41.99 for set of two at Target. Can't hang a hammock? 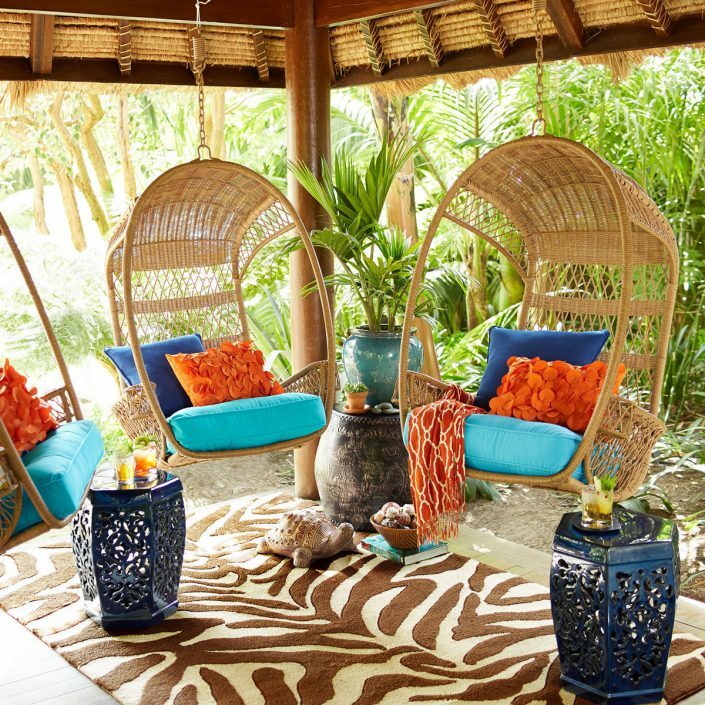 Opt for a rattan swing on a stand. Swingasan chair in light brown, $249.99 at Pier 1. Go wild with tiny planters. 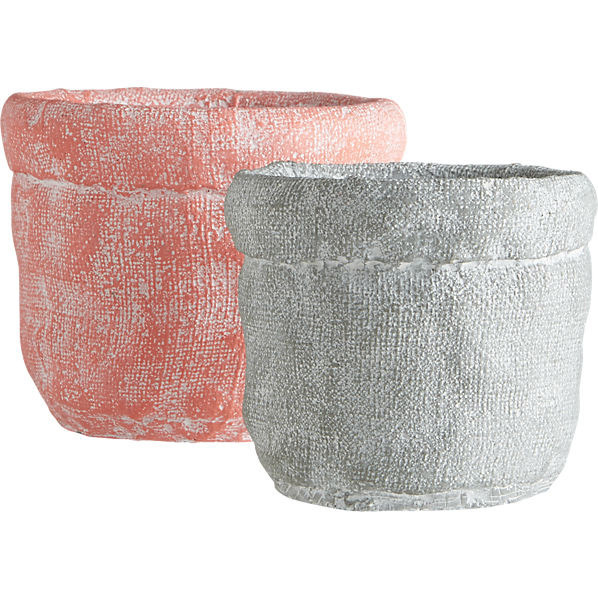 Krinkled vases, from $2.99 at CB2. Or corral them all in a plant stand. 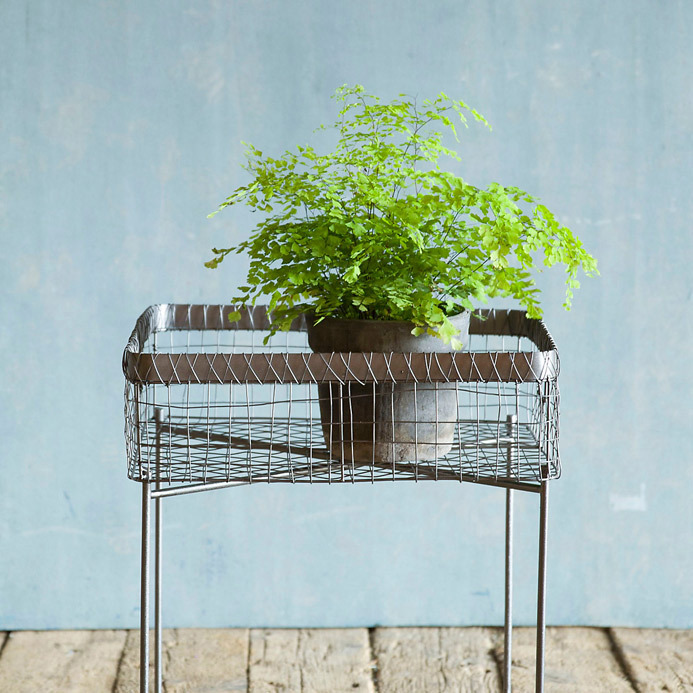 Side table plant stand, $118 at Terrain, Glen Mills. 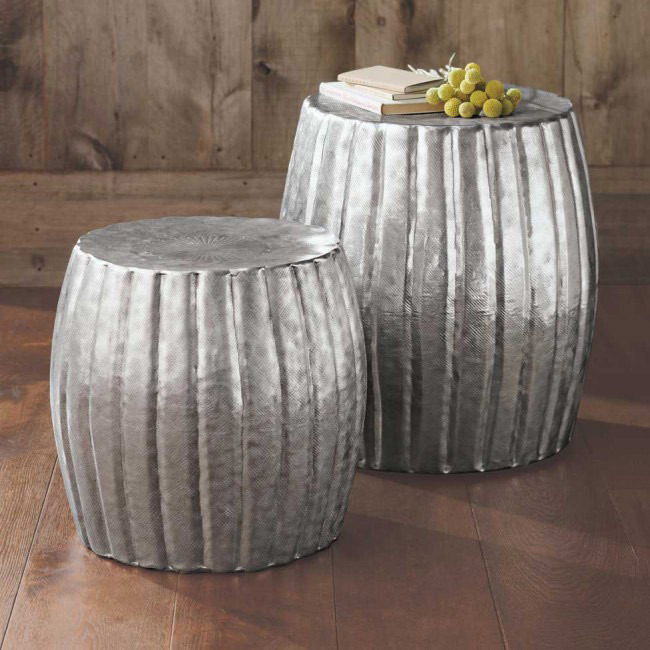 Hammered drum stools, from $249 at Viva Terra. 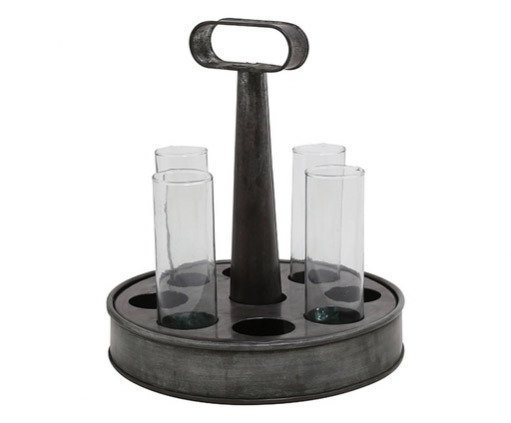 Display quirky objects, like this handy drink holder. Kranz tray, $145 at Three Potato Four.